A Note About Children. We do not intentionally gather personal information from visitors who are under the age of 13. If a child under 13 submits personal information to the Matcherino and we learn that the personal information is the information of a child under 13, we will attempt to delete the information as soon as possible. If you believe that we might have any personal information from a child under 13, please contact us at: support@matcherino.com. We may collect personal information from you, such as your first and last name, e-mail, username and password when you create an account to log in to our network (“Account”). We will collect payment information necessary to complete a transaction, including your name, credit card information, and billing information. When you post content (text, images, photographs, messages, comments or any other kind of content that is not your e-mail address) on our Site, the information contained in your posting will be stored in our servers and other users will be able to see it, along with your profile photo, user name and any other information that you choose to make public on your public profile page (“Profile”). The information that you provide in your Profile will be visible to others, including anonymous visitors to the Site. Your personal data is processed at Matcherino’s Seattle headquarters located in the United States. Hosting and storage of your data takes place in San Jose, California, USA. When you participate in an activity on our Services, such as promoting, endorsing or donating to a gamer and/or their contests and matches, we will collect that information and add it to your Profile. Information Collected from Twitch and other Social Networking Sites. 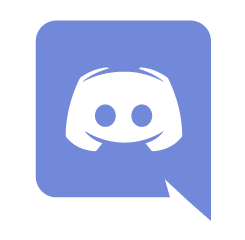 Our Services may enable users to register for an account using their Twitch login credentials, Twitter login credentials, Gmail login credentials, or other third party social networking service (“SNS”) supported by us. If you are not a registered user of the Services and you click “Sign In” using Twitch or another SNS that we support, you will first be asked to enter your Twitch or SNS credentials and then be given the option to register for the Services. In this case, we may receive information from Twitch or another SNS to make it easier for you to create an Account on the Site. Any information that we collect from Twitch or other SNS account may depend on the privacy settings you have with Twitch or that SNS, so please consult the relevant SNS’s privacy and data practices. send newsletters, surveys, offers, and other promotional materials related to our Services and for other marketing purposes of Matcherino. User Feedback. We often receive comments from users who have had positive experiences with our Services. We may post user feedback on the Site from time to time. We will share your feedback with your first name and last initial only. If we choose to post your first and last name along with your feedback, we will obtain your consent prior to posting you name with your feedback. Creation of Anonymous Data. We may create anonymous data records from personal information by excluding information (such as your name) that makes the data personally identifiable to you. We use this anonymous data to analyze request and usage patterns so that we may enhance the content of our Services and improve Site navigation. We reserve the right to use anonymous data for any purpose and disclose anonymous data to third parties in our sole discretion. Third Party Service Providers. We may share your personal information with third party service providers to: provide you with the Services that we offer you through our Site; to fulfill your order for any products, services or other goods; to conduct quality assurance testing; to facilitate creation of accounts; to provide technical support; and/or to provide other services to the Matcherino. Public Profile. Certain portions of the information you provide to us may also be displayed in your Profile. As an essential element of the Services, your profile photo/avatar and username from your Twitch or other SNS account that you’ve linked to your Account will be publicly displayed. By default, your Profile is for public viewing. Your profile photo/avatar, Twitch/SNS username, the amounts donated, person(s)/organization(s) to whom you make donations via the Site, and participation in any contests and gaming matches offered or promoted via the Services, including your participation in, funding of, and gaming achievements, are also meant for pubic consumption. In addition, if you post any content on the Site (such as a comments section), we will collect the content of your post and it will be made publicly available on the site in connection with your username and profile photo/avatar. We may display this content on the Site and further distribute it to a wider audience through third party sites and services. Once displayed on publicly viewable web pages, that information can be collected and used by others. We cannot control who reads your postings or what other users may do with the information in your Profile. Changing or Deleting Your Personal Information. You may change any of your personal information in your Account by editing your settings within your Account or by sending an email to us at the address listed above. You may delete your account online using the account deletion option, or request deletion of your personal information by us, and if so requested we will use commercially reasonable efforts to honor your request, but please note that we may be required to keep such information and not delete it (or to keep this information for a certain time, in which case we will comply with your deletion request only after we have fulfilled such requirements) to the extent permitted by applicable law. When we delete any information, it will be deleted from the active database, but may remain in our archives unless otherwise required by law. We may also retain your information for fraud prevention or similar purposes to the extent permitted by applicable law. Do Not Track Signals. Some web browsers may transmit “do not track” signals to the websites and other online services with which your web browser communicates. There is no standard that governs what, if anything, websites should do when they receive these signals. We currently do not take action in response to these signals. If and when a standard is established, we may revise our policy on responding to these signals. Data Breaches. We will report any unlawful data breach of this website’s database or the database(s) of any of our third party data processors to any and all relevant persons and authorities within 72 hours of the breach if it is apparent that personal data stored in an identifiable manner has been stolen. Legal grounds for processing your Personal Data. The GDPR requires us to tell you about the legal ground we’re relying on to process any personal data about you. The legal grounds for us processing your personal data will typically be because: you provided your consent; it is necessary for our contractual relationship; the processing is necessary for us to comply with our legal or regulatory obligations; or the processing is in our legitimate interest as an event organising platform (for example, to protect the security and integrity of our systems and to provide you with customer service, etc.). Transfers of Personal Data. As we are a global company, we may need to transfer your personal data outside of the country from which it was originally provided. This may be intra-group or to third parties that we work with who may be located in jurisdictions outside the EEA, which have no data protection laws or laws that are less strict compared with those in Europe. Whenever we transfer personal data outside of the EEA, Switzerland or the UK, we take legally required steps to make sure that appropriate safeguards are in place to protect your personal data. Personal data retention. We retain your Personal Data for as long as necessary to provide you with our Services, or for other important purposes such as complying with legal obligations, resolving disputes, and enforcing our agreements. If you have an account with us, we will typically retain your Personal Data for a period of 90 days after you have requested that your account is closed or if it’s been inactive for 7 years. Your rights. Data protection law provides you with rights in respect of personal data that we hold about you, including the right to request a copy of the personal data, request that we rectify, restrict or delete your Personal Data, object to profiling and unsubscribe from marketing communications. For the most part, you can you can exercise these rights by logging in and visiting your account page or changing the “cookie settings” in your browser. If you can’t find what you’re looking for in your account page, please contact us using the contact information set out above. Please note that requests to exercise data protection rights will be assessed by us on a case-by-case basis. There may be circumstances where we are not legally required to comply with your request because of the laws in your jurisdiction or because of exemptions provided for in data protection legislation. If you have a complaint about how we handle your personal data, please get in touch with us. If you are not happy with how we have attempted to resolve your complaint, you may contact the relevant data protection authority. Matcherino as a data controller and a data processor. EU data protection law makes a distinction between organizations that process personal data for their own purposes (known as “data controllers”) and organizations that process personal data on behalf of other organizations (known as “data processors”). If you have a question or complaint about how your personal data is handled, these should always be directed to the relevant data controller since they are the ones with primary responsibility for your personal data. Matcherino may act as either a data controller or a data processor in respect of your personal data, depending on the circumstances. For example, if you create an account with us to organize your events, we will be a data controller in respect of the personal data that you provide as part of your account. However, if you otherwise register for an event as a participant, we will process your personal data to help administer that event on behalf of the Organizer (for example, sending confirmation, promotional and feedback emails, processing payments, etc.) and to help the Organizer target, and understand the success of, their event and event planning (for example, providing event reports, using analytics to gain insights into the effectiveness of various sales channels, etc.). In these circumstances, Matcherino merely provides the “tools” for Organizers; Matcherino does not decide what personal data to request on registration forms, nor is it responsible for the continued accuracy any personal data provided. Any questions that you may have relating to your personal data and your rights under data protection law should therefore be directed to the Organizer as the data controller, not to Matcherino.